What Is The 10 Sets of 10 Reps Bodybuilding Workout and How Can It Be Used To Gain Weight? 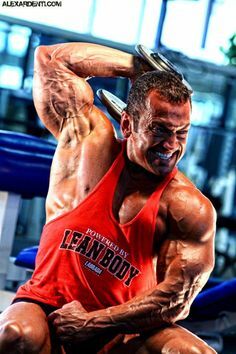 The 10 sets of 10 reps bodybuilding workout has been used in bodybuilding circles for years in order to break through plateaus and make weight gains in the form of lean muscle mass. 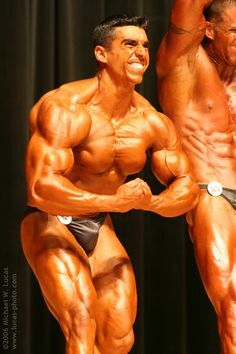 Many people have claimed to its invention, but regardless of who came up with it, it has been used with great success by awesome bodybuilders from the past such as Vince Gironda, as well as Dave Draper and Arnold Schwarzenegger. Today, many athletes on the know still use this method and even elite strength coaches, such as Charles Poliquin, are great advocates of it and use it on their Olympic athletes when they are in need of gaining muscle weight quickly. I’ve used this method myself without fail since early on my bodybuilding career. It never ceases to yield great results. As a matter of fact, early on when I was less informed, I thought that I had invented it. That was until I found out that this bodybulding workout has been around since the early 60s! 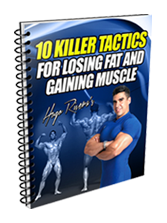 The 10 sets of 10 reps bodybuilding workout has proven time and time again to be fantastic at increasing muscle mass through the systematic fatigue of the muscle fibers being worked on. In order to implement a 10×10 routine, a mass building exercise is chosen and a weight that you can perform for 15 reps or so is selected. However, you will stop your set once you achieve 10 reps. Your rest in between sets should be limited to a minute and you need to refrain yourself from resting more as you start fatiguing since increasing the rest time would defeat the purpose of the routine, which is to cause systematic fatigue on a specific muscle. The goal of this bodybuilding workout routine is to use the same weight for all ten sets and to be able to perform all sets for 10 reps in good form. You will notice that as fatigue sets in, the sets become more and more challenging. You may not be able to perform all sets for 10 reps. If that is the case, then start lowering the weight once you do a set where less than 10 reps are performed. Once you can do all 10 sets for 10 reps, then it is time for you to go up in weight. How Many Exercises Do I Need To Use In The 10 Sets of 10 Reps Bodybuilding Workout Program? Is there a need for more exercises once you do the one for 10 sets of 10? I always like to include a second exercise for the larger muscle groups in order to hit a different angle but the second exercise is more of an isolation type and I just perform it for 3 sets of 10-12 reps.
Now let’s take a look at my recommended 10 sets of 10 reps program. I’ve benefited from doing each body part twice a week so I would perform Workout (A) on Monday/Thursday, Workout (B) on Tuesday/Friday and Workout (C) on Wednesday/Saturday. 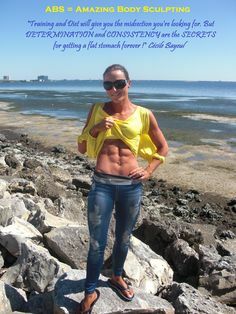 I’ve noticed however that this type of frequency works best for Endomorphs like myself, which are people with a slow metabolism who as a result have faster recuperation capabilities. You can also do 3 days on and one day off or simply workout from Monday through Friday rotating workouts. So the first week you will end the week with Workout (B) and as a result you will start the following week with Workout (C) on Monday. Day 1-Workout (A), Day 2-Rest, Day 3-Workout (B), Day 4-Rest, Day 5-Workout (C), Day 6-Start cycle again with Workout (A). With this sequence, each body part is trained once every five days. This routine also provides good recuperation for those of you that work over 40 hours a week and cannot afford to be at the gym for 6 days. Ectomorphs, or hardgainers, are those of you who are naturally skinny and have a super fast metabolism. If this is your case, then you are best served by training every other day, and if you cannot train over the weekends, then just Monday, Wednesday and Friday performing Workout (A) on Monday, Workout (B) on Wednesday and Workout (C) on Friday. After going through Workouts (A), (B), and (C) six times, change your routine to one that is heavier in weights (with around 5-6 reps mostly) and contains less sets. A good routine would be one that uses 5 sets of 5 reps with different basic exercises than the one above. In order to benefit most from this routine, remember that you have to nourish yourself! Weight training provides the spark for muscle growth while food provides the raw materials required for making bodybuilding gains. For more information on which type of diet to follow, please take a look at my Bulking Up Rules for the Natural Bodybuilder article. A good supplementation program is imperative in order to recover and make the best possible gains from such a demanding bodybuilding program. 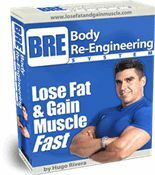 Please take a look at my Bodybuilding Supplementation Basics article, my Creatine Monohydrate Basics article, and my Preserve Lean Mass With Glutamine article. Don’t forget that muscles grow when you rest, not while you are at the gym. Therefore, make sure that you get your 8 hours of sleep or at the very least 7 hours each night and make up any lost sleep over the weekends. Not meeting your sleep requirements on a consistent basis leads to sleep depravation, a condition which besides creating constantly low energy levels, promotes a hormonal environment that increases the muscle destroying (and fat depositing) hormone cortisol and lowers your muscle producing hormone testosterone. For more information on how much sleep you require, how to determine if you are sleep deprived, what steps to take in order to ensure a good night’s sleep, and finally, the maladies caused by sleep depravation, take a look at the articles below. Learn what the four phases of the sleep cycle are, how much on the average you should be sleeping each night for maximum results and what happens when you get sleep deprived. Learn 4 guidelines that you can follow to ensure a good night sleep. Well, there you have the most results producing bodybuilding workout program ever for gaining lean muscle weight, in my opinion. If you are ready to change your bodybuilding workout routine, give this program a try and provided that your nutrition, supplementation and rest are in order, then it will not fail to give you the bodybuilding gains that you are looking for. Hello Hugo, thank you for this article. Im in a sort of plateu: I still have some fat the burn (specially belly fat and love handles fat) but I dont want to loose more weight, Im 5'9 at 140Lb. So my question is: Do you recommend this program 10-10 for me at this moment ( I dont seem to put much muscle as much as I train hard and eat 5-6 times quite well), or would you recommend I start your Re- enginering program?